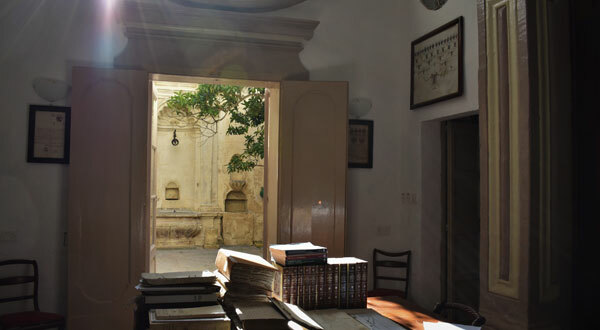 The Cathedral Archives in Mdina opened its doors to researchers and historians 50 years ago. The numerous volumes and diverse archives that fill the shelves within the Archive are a wealth of historical information and considered to be, by local and foreign scholars the richest musical archive in Malta and South of Italy. These archives are not only a valid contribution to Malta’s local history, with documents dating to the 12th century but shed light on the European and Mediterranean context. To commemorate this half a century anniversary, the Cathedral Archive Commission, organized a number of activities amongst which were conferences, musical recitals and temporary exhibition in partnership with Valletta 2018 Foundation on display at the Cathedral Museum, promoting the richness of the archives as part of a cultural programme. At the opening of the conference in February 2018, a book edited by Prof Stanley Fiorini and Prof William Zammit was published and launched. The 336 page book titled the Ecclesiastical archives in Malta- Crossroad of Cultures and Religion 1968-2018, is a collection of papers and illustrations which make references to various studies within the Cathedral Archives. On 1st January 1968, the Cathedral Metropolitan Chapter began to make accessible three main archives which were previously housed in the old Mdina Seminary. These included the Archive of the Cathedral Chapter with historic and administrative volumes, the Roman Inquisitor’s Tribunal Archive and the Archive of the Episcopal Tribunal. In addition to these archives, there are numerous volumes that belonged to the Conventual Chaplains of the Order of St John, as well as thousands of original musical manuscripts which were part of the old repertoire of music performed within the Mdina Cathedral dating as early as the 17th century right up till the 19th Century, composed by both foreign and local composers. After much deliberations the decision was taken to restore and convert the old Mdina seminary into a permanent cultural centre as the Metropolitan Cathedral Museum. Discussions to convert the seminary into museum began as early as 1926 but only ended definitely in 1967 housing as well the growing archives. The first project directed at curating the archives was the microfilming process by the Minnesota Hill Museum and Manuscript Library which microfilmed a number of manuscripts and in 1981 a conservation laboratory for the conservation of paper curated by Mario V. Gauci. However the growing archive needed to find a new home with a more adequate space for storing, conservation and research. In 2004 8th October the new premises at Villagaigon Street was inaugurated. This acquisition was given as donation by the most Noble Agata Formosa Gauci. The following year the Archive as up to this day, is curated by the Senior Assistant Archivist Mario Gauci. However if anyone knows the archives better, it is Mons. Dun Gwann Azzopardi. For many years he has served his passion for these Archives and for research. High spirited and wise, he has and continues to guide and mentor numerous student who some today have become history professors. I also confess that I was also one of these students and owe my love for archives to none other than Dun Gwann. Dun Gwann’s memory of the Archive’s last 50 years of history is crystal clear. He remembers when the decisions were being taken to create the Cathedral Museum and was the first to be responsible for the shelving of the archives. He states that the late Mons. Edward Coleiro was the mind behind the idea to curate and make available the archives for public research. The ex-curator of the Cathedral Museum commented that originally the Archive was housed in the Archbishop’s Palace in Mdina and then transferred in 1933 by Archbishop Mauro Caruana. While Dun Gwann narrates that the Inquisitors Tribunal Archive was housed within the Archbishop’s Valletta Palace and transferred to Mdina’s old seminary in 1943 during the bishopric of Archbishop Gonzi. One particular manuscript documenting a Pastoral Visit of Bishop Baldassare Cagliares to the Mdina Cathedral in the first decades of the 17th century, sheds light on the first Cathedral Archive. He states that there was the Cathedral Archive within the Cathedral Sacristy. He also makes reference to furniture and shelving as well as describes the use of the archive’s keys. The earthquake of 1693 brought some damage to the Cathedral and this hurried works in progress to rebuild the Cathedral in a Baroque architecture. During this period of reconstruction, the archive was dispersed but was reorganized by 1715 were Cannon Fabrizio Bonnici was nominated first Archivist. In 1729 the Cathedral Chapter decided to compile an inventory of the archived documents. In 1744 Bishop Alpheran de Bussan notes that the all the administrative documents of the Cathedral and the Cathedral Chapter are stored in the Archives. 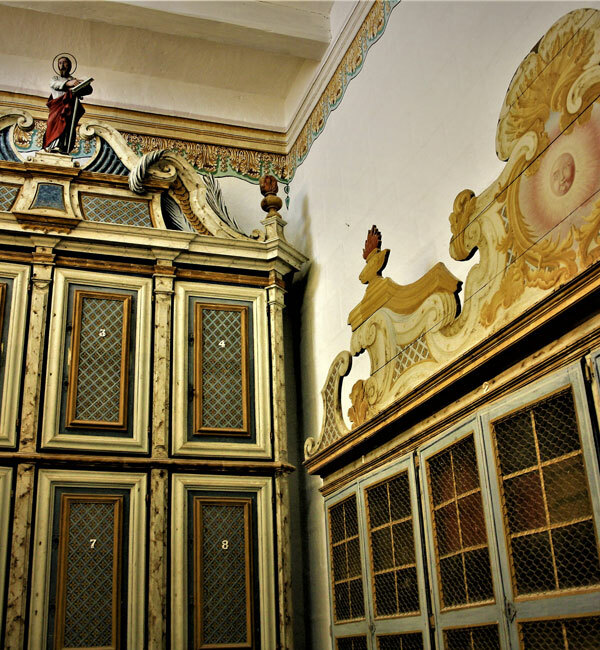 With the new Chapter Hall completed, the Archive was given a new secure location within the new Cathedral and Maestro Salvatore Galea and his apprentice Ignazio Camilleri were commissioned to build the shelving and new furniture. This archive also included a library as well as shelving for the musical repertoire including many works by the Maestro di Cappella, Giuseppe Balsano. Chapter deliberations concluded that there was a need of new archive shelving while in 1751 new furnishings were needed for the depository section of the archives. All these were commissioned by Fra Don Garcia Xarava to master Giuseppe Borg and his apprentice Giobattista Debono. Details of the wood and various furnishings are made, particularly documents which narrate that further commissions continued to be made for the furnishing of the rich growing library coming from private collections including the one by Bishop Paul Alpheran de Bussan. It was also Prof Edwardo Coleiro who in the 1960s worked hard in the setting up of the Cathedral Museum. 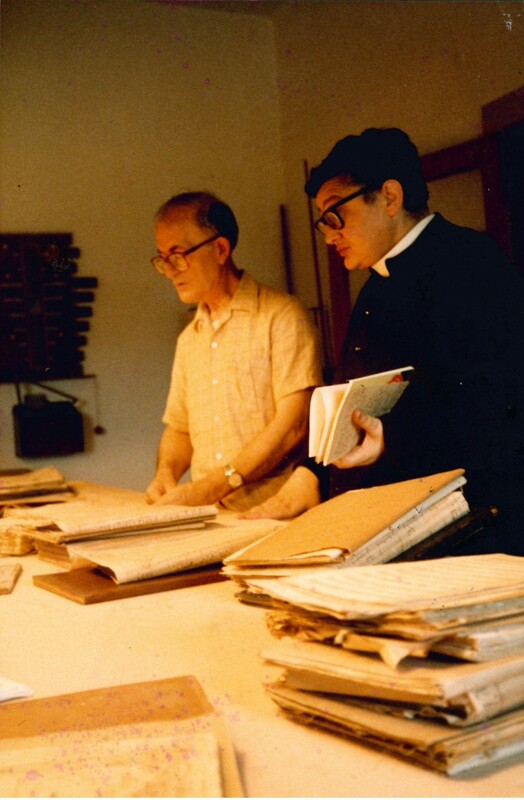 In 1967 the Cathedral Chapter decided to employ Fr John Azzopardi as Curator of the Museum and the Archives. It was the start where Dun Gwann became part of the fabric that characterized the Archives. Once housed in the Cathedral Museum, the Archives were spread over four rooms overlooking St Paul’s Street and a reading room overlooking the Cathedral Square. With the growing display of artefacts in the Museum, there felt the need to move the Archives yet again. In 2002, Agata Formosa Gauci donated her own house overlooking the Cathedral Square to the Cathedral Chapter in memory of her deceased uncle the Archdeacon Mons. Giuseppe Apap Bologna and it was decided that this building would immediately house the Cathedral Archives. In the process of relocation, Marie Amelie Gleizes Dewavrin donated mobile shelving for the new Archive. The new Archive premises was inaugurated on 8th October 2004. Today this Archive collection continues to grow with new donations, administrative documents of the Cathedral Institution and a library collection thus becoming a centre for study and research in countless fields.